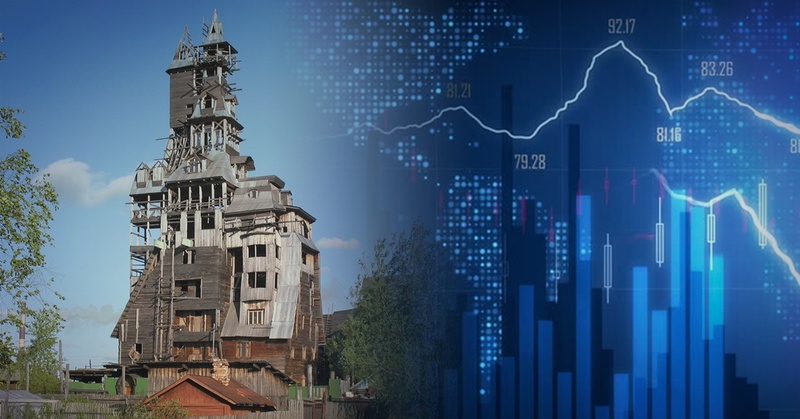 Ever heard of Russia’s tallest wooden skyscraper? A shaky, safety and fire hazard, but totally incredible. Why is it incredible? It was built by one man. He got an architect involved in the first bit – the two-story wooden house it was supposed to be. But then his own creativity went wild on the further 11 stories he added over 15 years. Here’s a picture. The problem was that he didn’t get any planning permission, and there was no sound engineering or architecture design behind the skyscraper. Then, the house deteriorated while he spent a while in prison for racketeering. 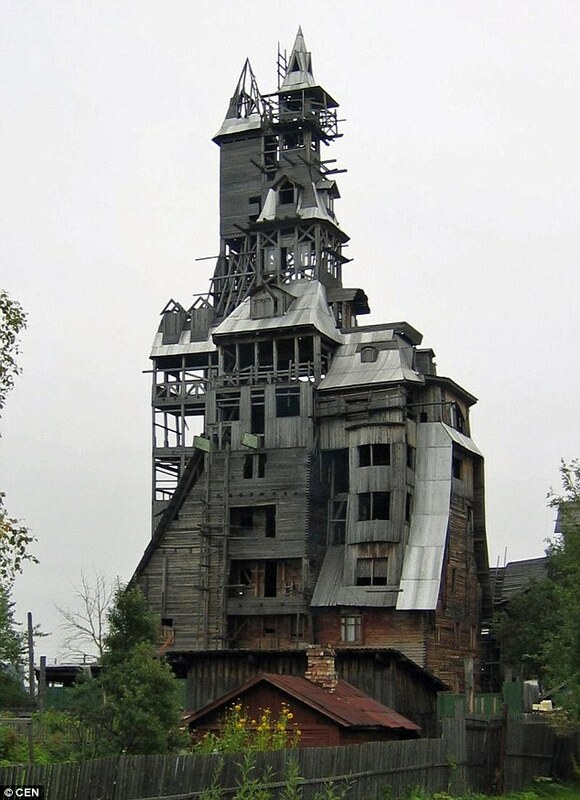 The 44-meter-tall (144 ft) Sutyagin House in Arkhangelsk, Russia was declared a fire hazard in 2008, so the tower was pulled down. In 2009 came the order to demolish the house, so it was slowly reduced to a four story house. The remainder burned down in 2012. Now, there’s nothing left to see. It’s a true story, and one with a lesson: do-it-yourself is rarely best in the long run. If you want to build a business with data driving your decision making, you need to make sure you’re doing data management right. Otherwise, you’ll have to dismantle your data policy or watch it burn before you rebuild from scratch. Additionally, you’ll waste an enormous amount of effort rigging together something that looks great on the surface but doesn’t last. Cliché alert: data is flooding in. It’s fueling your business and influencing your decisions. But you need to know you can trust it. You need to know your decisions are based on a firm foundation of trustworthy data. This is crucial anyway, but any data flaws become very evident once you start utilizing a Business Intelligence (BI) platform. What information are you using to inform and influence your decisions? Where is that information coming from? How do you know if you can trust it? The worst-case scenario is not, as you might suspect, having no data insight. It’s actually much worse to be making your business decisions based on erroneous data. Why is it so terrible? Here are few reasons. The people who use and rely on your business’ data need to be able to trust the data. If they can’t, they lose confidence and stop using the data altogether. Or worse, they start building their own data sets in spreadsheets and desktop databases that aren’t governed for accuracy. As soon as this happens, you have data anarchy. Nobody wants anarchy. To build trust, you need to make sure your data is accurate. This starts at the source. Is the source of your data reliable? What format was it published in? Can it be tampered with? Who has access to the raw data? What processes does it go through before it reaches your users? If you can answer those questions, verify your data and fix any issues, you are well on your way to earning the trust of all who use your data. It takes work, but a solid foundation will ensure your business doesn’t crumble. Your business crumbling because of bad data sounds dramatic, but it has been seen time and time again. Why? Because if you base decisions on bad data, your decisions will be flawed. If your decisions are flawed, your business will flounder. Good data is essential to accurate decision-making. With governed data–data that is protected and managed through a set of formal processes–you can see opportunities to optimize business operations. You can see at what times you need more stock. You can observe trends and anticipate new markets. You can accelerate your business. But if the data is wrong, you change the wrong part of the process. Your stock inventory won’t meet demand. You make wrong moves in the market and you decelerate your business. You need to know that you can trust what your decisions are based on. With trustworthy sources, you become an astute business. If you don’t have good data, then you don’t know how your business is performing. You want to know whether you are reaping a return on your investments, don’t you? Then you need an accurate view of performance. Your view comes in the form of data visualizations–dashboards and reports. When these are accurate, fed by data that’s governed for accuracy, you can see the truth of how your business is functioning and where you are heading. You’ll see the result of each investment. See the rate and quality of engagement with your Marketing content. Track the number of leads that turn into sales and discover your performance against the forecast following a new investment. In short, you will be able to see the return on your investments. How do you get accurate, trustworthy data? There are a few basic steps you can take including data governance and data profiling. Remember, however, these are ongoing processes. They’re not one-time fixes. Whenever there is new data, you need to go through the same steps. Of course, there is software available to help you in this process, but you’ll need to get clean data if you want to set up Business Intelligence reporting and analytics in your business. You need to, first, trust the source of the data. Do you have reliable sources? Make sure you are using verified data that is regularly checked and updated by a verified publisher or source. This could be internal or external data. Where possible, check the statistics against another data source. When considering the format in which you retrieve the data, you need to think about who has access to that data and whether it can be tampered with (intentionally or unintentionally). If your source is an Excel spreadsheet that has been passed from one person to another, you might not have as much confidence in it as you would from a government database. Another consideration is whether the data you are using is has been aggregated or not. If the data is aggregated, you don’t know if the original data has flaws as you are just seeing the summary form. Access control – You need to create and enforce policies that safeguard your data from unskilled users. Set permissions in your LDAP or Active Directory, and then applying those settings to centrally managed data should ensure that only the right people see certain data. Consistency – You need to keep your data consistent and standardized across systems to ensure fields correlate. Make sure times and dates, for instance, follow the same format. Completeness – Data needs to be complete and accessible from a centralized source that is recognized as the most up-to-date and trustworthy version. Correctness – You need a method for checking and validating your data. Look for anomalies, unexpected averages, missing fields etc. Timely – Data must be up to date so you never work with old figures. Choose a BI platform that can deliver data in real time or the time frame you need. Known sources – The source of data and how it reached you must be known, verified and approved. Security – You need to protect your data from theft, breach and loss. There are many methodologies for checking your data’s accuracy, but make sure you do it before launching into a BI project. Remember, good data is the firm foundation of a data-driven business. Your analytics and decisions are only as good as the data that’s feeding them. Understand how to implement intelligent BI.